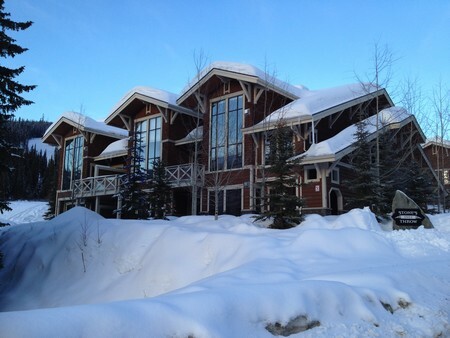 Sun Peaks Real Estate - Is this a good time to buy a vacation rental? Sun Peaks Real Estate - Is It Time to Buy a Ski Property? Is this a great time to consider purchasing Sun Peaks Real Estate? Well, we certainly think so. Or at least it was when we wrote this and bought our Stone's Throw and Trapper's Landing properties. Since 2015 though, prices have really began to take off. Skier smiles and sales of properties at Sun Peaks have continued to increase with no end in sight. Record skier visits to the resort as well as one of the strongest seller’s markets in their history started in 2016 and show no signs of slowing down in 2018. The two newest developments, Village Walk and Echo Landing, are completely sold out. And in the summer of 2018, Sun Peaks Real Estate options grew again, with the announcement that Peaks West and Elevation will be coming soon. Peaks West is a brand New Sun Peaks residential and commercial development project being constructed by our friends at Meranti Developments. Peaks West will be located by the entrance to Sun Peaks, between the Sun Peaks Fire Hall and the old Burfield Lodge, and will offer a mix of 2 and 3 bedroom condos, townhomes and some commercial space. They will have open floor plans, views of the mountains and are just a short walk to the Burfield Chairlift. And in October 2018, another new ski-in/ski/out development was announced - Elevation at Sun Peaks. Sales of ELEVATION began in early 2019 and it is a 4 story collection of single-level one, two and three bedroom alpine condos. It will be located just above the 16th fairway and is an exciting addition to the East Village as it wraps back westward toward the centre of the resort connecting every type of adventurer with every type of trail. With the extension of the well-lit and maintained Valley Trail, a short 12 minute stroll connects ELEVATION to the vibe of Sun Peaks Village. We are guessing this will sell out fast - sign up with a Sun Peaks Realtor by completing the form below today for first access and more information. A&T Project Developments, builders of Village Walk, Echo Landing, and numerous other earlier Sun Peaks developments, will be building Elevation. They will build in two phases, with each phase having 40 one, two or three bedroom plans. The condos will sit above the 16th fairway on lots newly opened for development following the building of the new Orient Ridge chairlift. 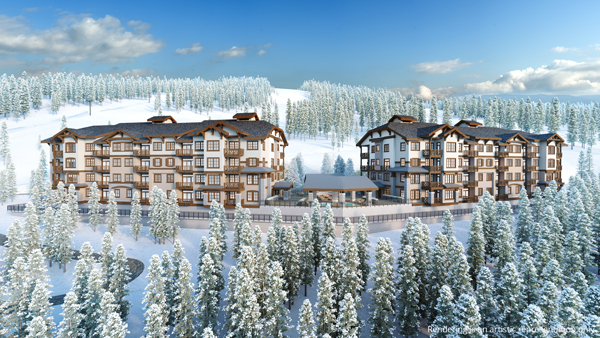 The new Elevation project has started pre-selling, and it was recently announced that owners will be offered the choice of being able to join the Sun Peaks Grand Owners Club and benefit from its marketing and rental management services. Owners of condos at the Residences at Sun Peaks Grand have long benefited from the rental management services and resort related discounts offered to members of the Sun Peaks Grand Owners Club. - High quality linens, towels and bathroom amenities as provided to hotel guests. For example, all properties managed by the Sun Peaks Grand Owners Club will be stocked with luxurious French bath products by L'Occitane. - Renters of your condo will also enjoy perks that add value to their stay. Submit the form at the bottom to register for Elevation purchases before this development is sold out too. Sun Peaks was labeled as the fastest growing incorporated municipality in 2016, and it is still a great time to be a part of this exciting community! With the new (in 2017) medical center and a $30 million five year Sun Peaks expansion plan announced in 2017, there is lots of growth to come. Once you experience Sun Peaks for yourself and see how much of a sense of pride, community and ownership there is here, you may want to become part of the neighborhood as well. And if that isn't enough, how about the fact that Sun Peaks became Canada's 2nd biggest ski resort in 2015, and is also consistently ranked as the second best and second most popular ski resort in Canada by numerous sources. Being the number two resort is important here because they love being number 2, and the property is roughly 1/2 the price of the #1 resort - Whistler! According to our real estate friends at Sun Peaks, the real estate market at Sun Peaks is continuing to heat up for some types of properties. With more and more families and retirees looking for the relaxed lifestyle with endless year-round recreational opportunities that Sun Peaks offers, sales of single family homes increased 63% over the same period last year. The average price was also up 32% to over $700,000. Sales of Sun Peaks properties doubled in 2016 compared to 2015, and there is now a big shortage of properties available to purchase and interested buyers are adding their names below to get on waiting lists. Earlier, the resort saw a 63% increase in sales between January 1st and April 30th, 2015 compared to the same period in 2014. A total of 24 sales were recorded in Sun Peaks between January 1 and April 30, 2015 compared to 15 sales in the same period in 2014. Sun Peaks real estate also saw the same 63% increase in the average sale price – an increase of CAD $109,150 – between January 1 and April 30th 2015 when the average sale price was recorded as CAD $293,117, compared to the same period in 2014, when it was recorded as CAD $183,967. Not all types of properties are seeing the big increases, yet, but the trend is certainly increasing and we thought it was a great time to buy in. This June 26, 2014 Vancouver Sun Recreational Property article, confirms what the Sun Peaks Realtors have been telling us for the past six months – increased consumer confidence, healthier lifestyle changes, the growing popularity of Sun Peaks as a four season resort and a better property for your recreational property buck is bringing people back to Sun Peaks. Sign up below to receive emails with the most current information about the project, instructions on how to register for a VIP pre-sales event, and other Sun Peaks Real Estate options. - many people who have been buying Sun Peaks real estate recently are choosing not to rent out their vacation properties, and with double digit growth for visitors at Sun Peaks, more demand will mean increased rents and property values. - the market bottomed in 2013 and is now heading back up as detailed in this Western Investor article. Prices have increased dramatically since we purchased our places, but with all that is happening at Sun Peaks, we feel prices will probably continue to increase for some time to come. And in the meantime, we love enjoying all of the year-round recreational activities, events, concerts, etc. Who wouldn't want to be a part of this? 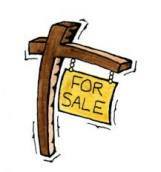 Contact an experienced realtor and see if this type of investment is right for you. From early beginnings 50 years ago as Tod Mountain, Sun Peak Resort has grown into one of North America's top 10 ski resort destinations in North America, Canada's second favorite and second most popular four season ski resort, and after the 2014 expansion, will be the second largest ski resort in Canada with over 4200 acres of beautiful champagne powder covered skiable terrain. The resort is continually growing yet it seems so quaint and personal - we love that about Sun Peaks! Whether you care to enjoy the 18 hole golf course, miles of scenic cross-country walks or Sun Peaks mountain hikes, leisurely mountain biking or extreme downhill biking, or the many other activities and festivals offered every weekend during the summer at Sun Peaks, or choose to enjoy all levels of downhill skiing, nordic skiing, snow shoeing, dog sledding and more in the winter, Sun Peaks offers so much for everyone. Even the typically slower months, like spring and fall, are attracting visitors/renters. Buy your perfect Sun Peaks Real Estate and start enjoying life now! Once we fell in love with Sun Peaks and decided to purchase a property in Stone's Throw at Sun Peaks, we found the services of a local Sun Peaks realtor invaluable in helping to select the best property possible for us, helping to arrange the purchase and key hand-over while not being there, and even for help after we moved in. They got us our Best Sun Peaks condo at a very good price and we are so lucky and thankful! So much so that 2 years later we bought a beautiful Trapper's Landing Townhouse! And they also told us about the pros and cons of investing in a Sun Peaks hotel style unit or other types of properties - very important Sun Peaks real estate information to know! If you would like an experienced and recommended Realtor to assist you in your Sun Peaks Real Estate search, or simply complete and submit the form below and one will be in touch. Once you purchase your Sun Peaks property - do you want to rent it to cover some or all of the costs? Perhaps you can list with us to help promote you on our Sun Peaks Vacation Rentals page? Will you need a reputable 'full-service' property manager, or a 'part-time property manager' like we use? They both have their pros and cons and we would be happy to discuss them with you. There are very few Sun Peaks cleaners and Sun Peaks property managers. Do you want to completely place your property in someone else's hands, or do you prefer to maximize your revenue opportunities by co-managing your Sun Peaks vacation rental? Recreational Property Mortgages, especially when they become Sun Peaks vacation rental properties, can be a little complicated. But in addition to great low prices on Sun Peaks real estate right now, mortgage rates are lower than ever which makes covering the interest costs with your Sun Peaks rental property even easier. Hey, if we could get a recreational property mortgage at a great rate for our place, you can too! However, there are a few additional restrictions when it comes to getting a mortgage for a second or a recreational property so you will need to do some research. We chose a local expert from the lower mainland here who managed to get us a rate that neither the banks nor another broker that we dealt with for years could get and she made the process for completing on our Sun Peaks real estate purchases very simple. Too boring to go into detail here, but if you want tips on best Sun Peaks mortgages and to obtain a mortgage quote, contact our preferred mortgage broker by completing the contact form below and he will be in touch.